What does it mean to be baking “together”? 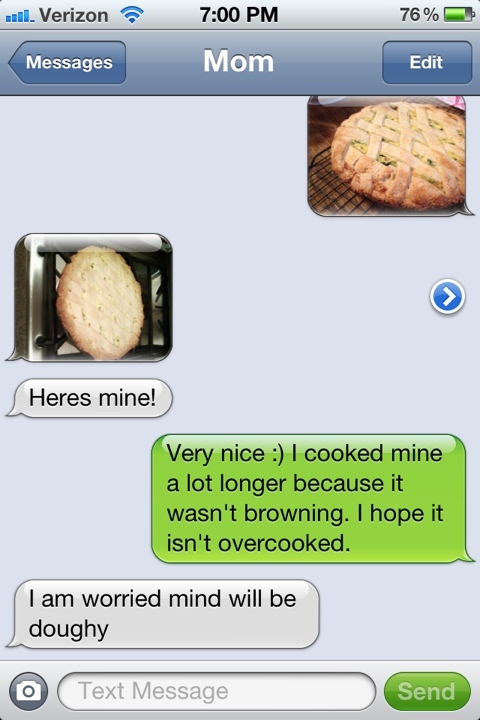 Since my mom and I live about 3-4 hours apart now, we can’t cook together very much. But we have found ways to still be working in the kitchen “together” — through phone calls, emails, and texts, as you can see here! Perhaps one day we will even Skype while doing our Tuesdays with Dorie projects!